The 50,000-PSI hydroformed steel frame incorporates additional crossmembers for strength and mass efficiency as well as hydroformed front and rear rail contours for a more secure placement of suspension components and mounts. After all, a truck is only as strong as the steel it's built on. 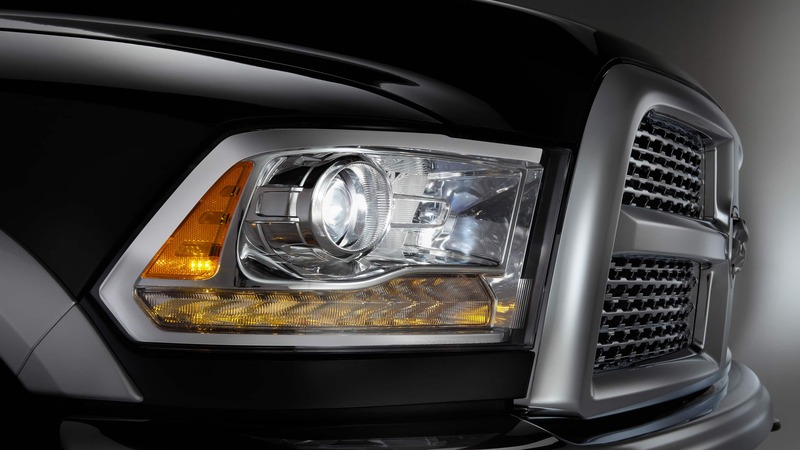 The available Proven and Legendary 6.7L Cummins® Turbo Diesel I6 engine incorporates Class-Exclusive smart diesel exhaust engine braking technology(1) to help control the descent of a vehicle on a downward slope. Working much like Speed Control, the engine brake uses a variable nozzle on the diesel's turbo to maintain smooth, less aggressive braking while helping to provide vehicle stability and reduced wear on the disc brakes. Especially handy when hauling heavy loads. 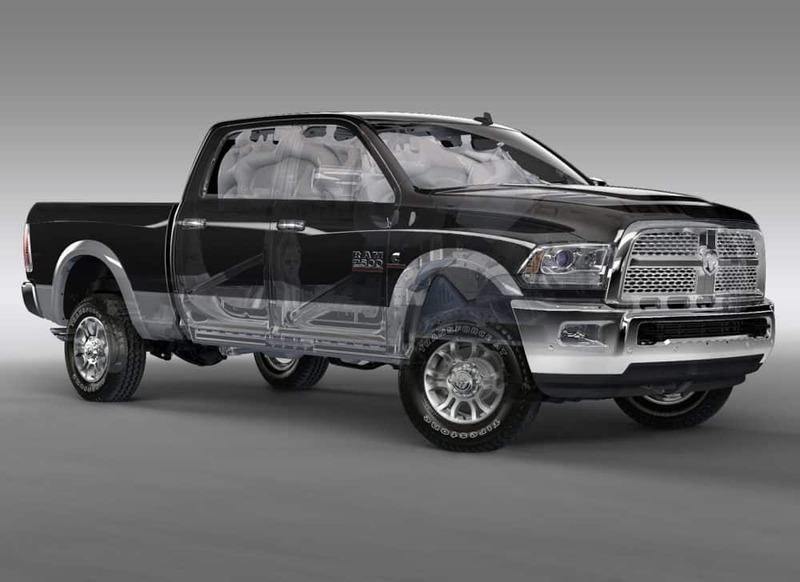 The interior of Ram 2500 is equipped with versatile seating options, clever storage solutions and features to make driving and parking easier wherever you go. 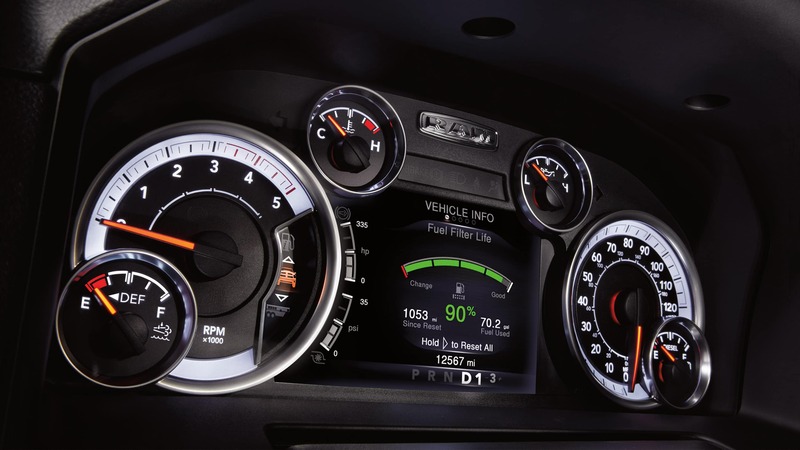 Keep track of your vehicle's performance with the available full-color 7-inch instrument cluster, which includes a speedometer, tachometer, fuel gauge and more. 1. Class based on 250/2500 Pickups.